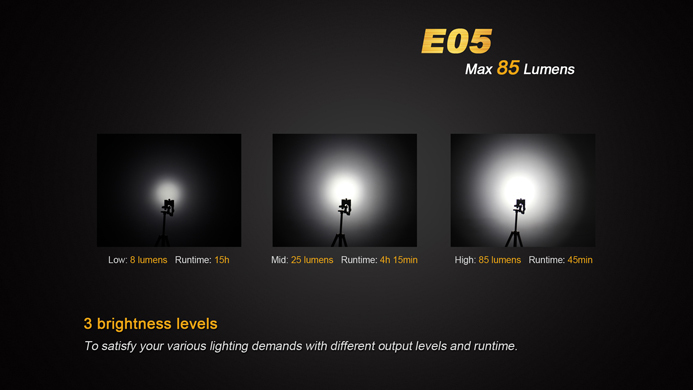 If you need a small, yet versatile, light to be your constant sidekick, the E05 is our recommended go-to for your lighting needs. 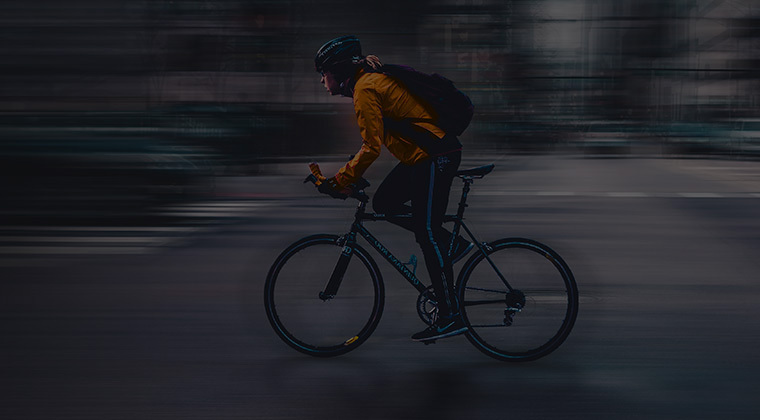 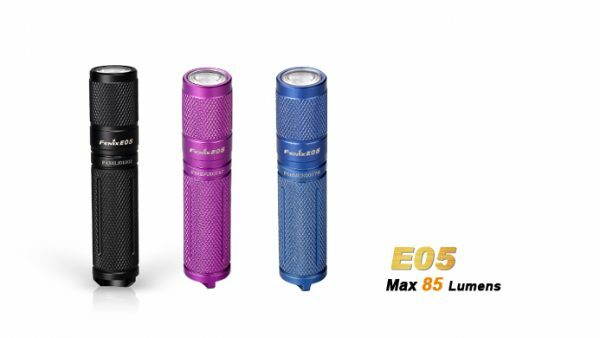 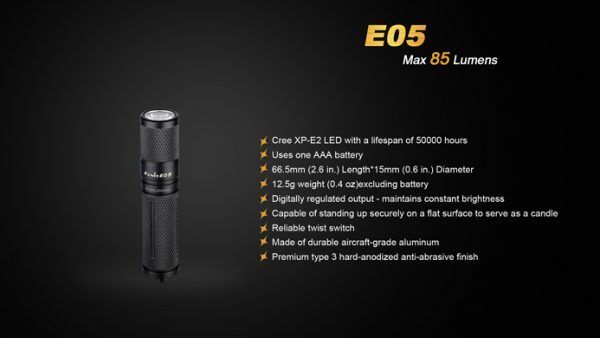 Pumping out up to 85 lumens from a single AAA battery, the E05 provides a max range of 45 meters of light to ensure your safety and security at an absolute bargain of a price. 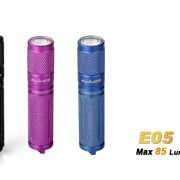 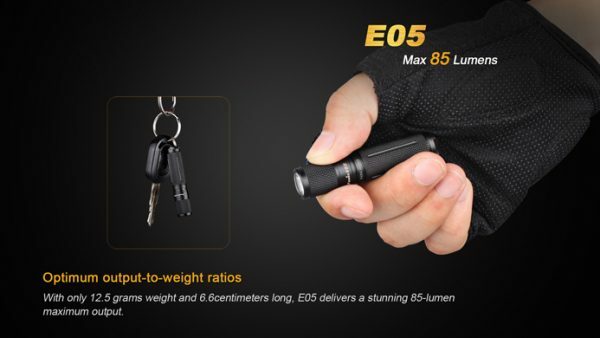 Fenix E05 Flashlight,Spare O-ring, Key chain, AAA Alkaline Battery. 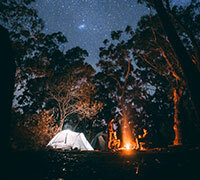 Turn off the light and turn it on again within one second to select the brightness level in the order of Low→Mid→High. 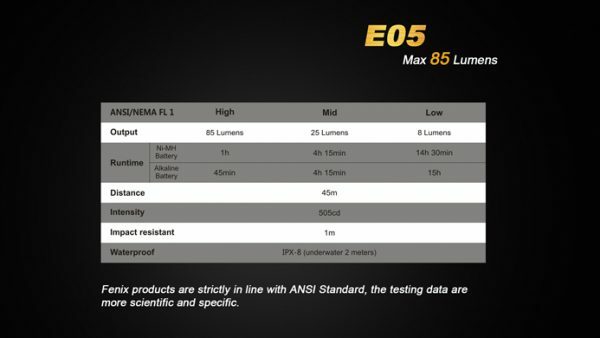 If the off-time is over one second, the E05 will enter into the Low brightness level when turned back on. 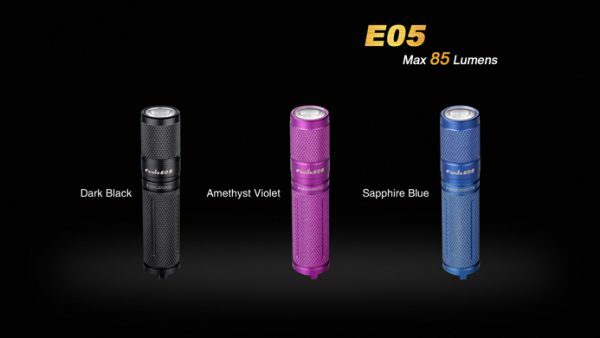 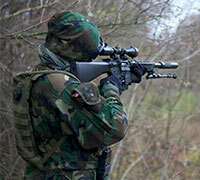 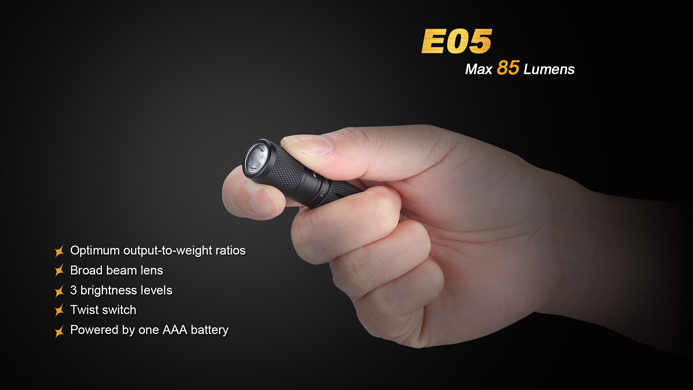 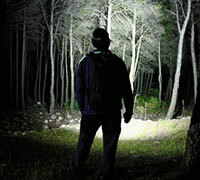 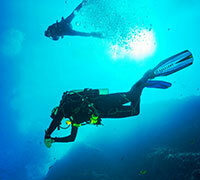 The E05 flashlight will accumulate a lot of heat when it is working in High output. 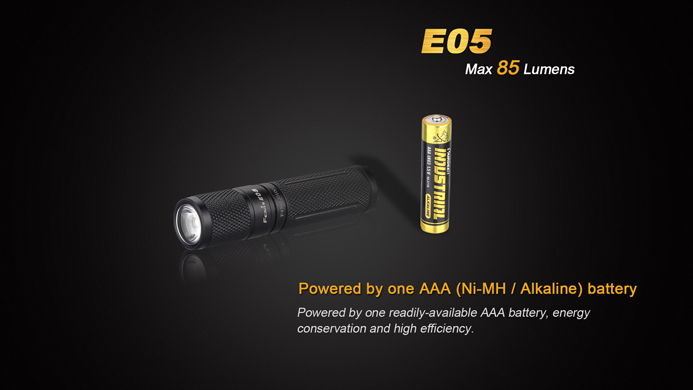 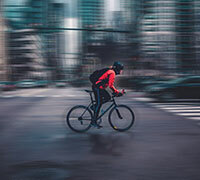 To avoid overheating, the flashlight will automatically transfer into the mid brightness level after operating in High output for over 3 minutes. 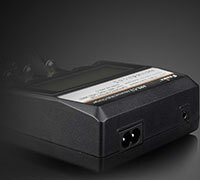 If the High output is needed continually, simply reset it again. 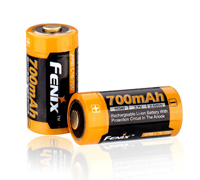 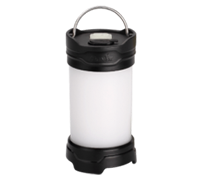 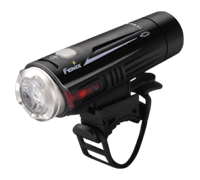 The redesigned Fenix LD12 is now compatible with 14500 rechargeable Li-ion batteries. 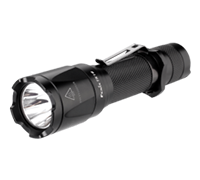 It’s fitted with a CREE XP-G2 R5 neutral white LED for better color rendering, and delivers maximum 320 lumens. 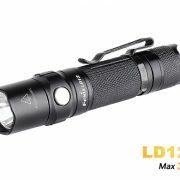 With four brightness levels plus strobe mode, and convenient dual switch, the LD12 is definitely the must-have flashlight for everyday carry. 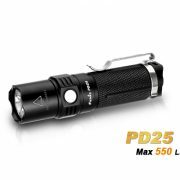 Fenix PD25 is more powerful than such a tiny flashlight seems. 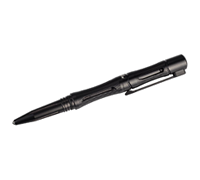 Equipped with Cree XP-L LED and intelligent drive circuit, the flashlight produces 550-lumen stunning output from a 16340 rechargeable Li-ion battery. 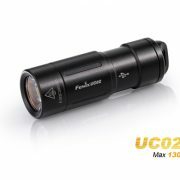 It’s also compatible with CR123A battery. 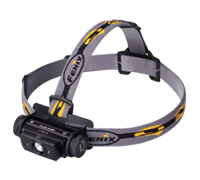 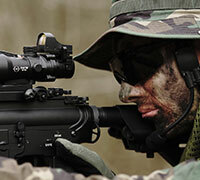 Besides, a tactical tail switch for momentary-on function, a metal side switch on the head are all you need to control five outputs including strobe mode.